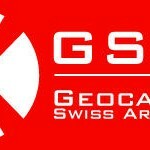 Er is een nieuwe (beta) versie van de Geocaching Swiss Army Knife software beschikbaar via het GSAK.NET forum. Build 25 Note: You must have installed 7.7.3 Build 53 (available at http://gsak.net) at least once before installing this update. via GSAK -> 7.7.4 updates. This entry was posted in GSAK and tagged GSAK, hulpmiddelen, internet. Bookmark the permalink.